What better accompaniment to a great sauce than Marsala wine, and what better complement to a home chef’s kitchen than a BlueStar range finished in the newly announced and rich Marsala color. Marsala is a great choice for kitchen accessories, and in the case of BlueStar, professional appliances. Consumers are looking for new ideas to help make their kitchens be more personalized, so having unique options like on-trend colors is truly exciting. BlueStar®, manufacturer of restaurant-quality cooking equipment for the home and a leader in color and customization for appliances, introduces a new custom color in the Pantone® 2015 Color of the Year, Marsala. For 15 years, Pantone’s Color of the Year has influenced product development and purchasing decisions in multiple industries, including fashion, home and industrial design, as well as product packaging and graphic design. The 2015 Pantone Color of the Year, Marsala, offers a warm, rich and robust flavor to many settings. This tasteful color is made up of rich reds and browns for a sophisticated, natural earthiness. According to Pantone, it is a hearty, yet stylish tone that is universally appealing in fashion, beauty, home furnishings, interiors and appliances. “Marsala is a great choice for kitchen accessories, and in the case of BlueStar, professional appliances,” says BlueStar Vice President of Marketing Eliza Sheffield. “This shade makes for an elegant and handsome statement piece, or as an accent (think oven knobs). Consumers are looking for new ideas to help make their kitchens be more personalized, so having unique options like on-trend colors is truly exciting." BlueStar has been a leader in color customization for nearly a decade, offering its cooking equipment in over 750 colors and finishes, plus custom colors like this year’s Pantone Color of the Year. For additional customization, choose from 190+ colored knobs plus a choice of metal trim finishes. An interactive website tool, 'Build Your Own BlueStar', allows consumers to customize a new BlueStar range – from the intensity of the burners to the color of the knobs and the range itself – before buying. BlueStar boasts a 130-year-heritage of marrying form and function. Handcrafted in Reading, PA since 1880, BlueStar cooking equipment is manufactured to provide the home chef with a cooking experience that only can be matched by a restaurant kitchen environment. 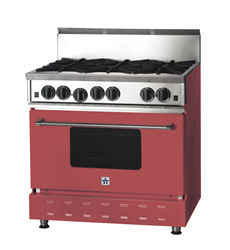 BlueStar equipment provides up to 25,000 BTUs of cooking power, as well a gentle 130-degree simmer burner. All BlueStar gas ranges also feature integrated wok cooking and an extra-large convection oven that fits a commercial size sheet pan. 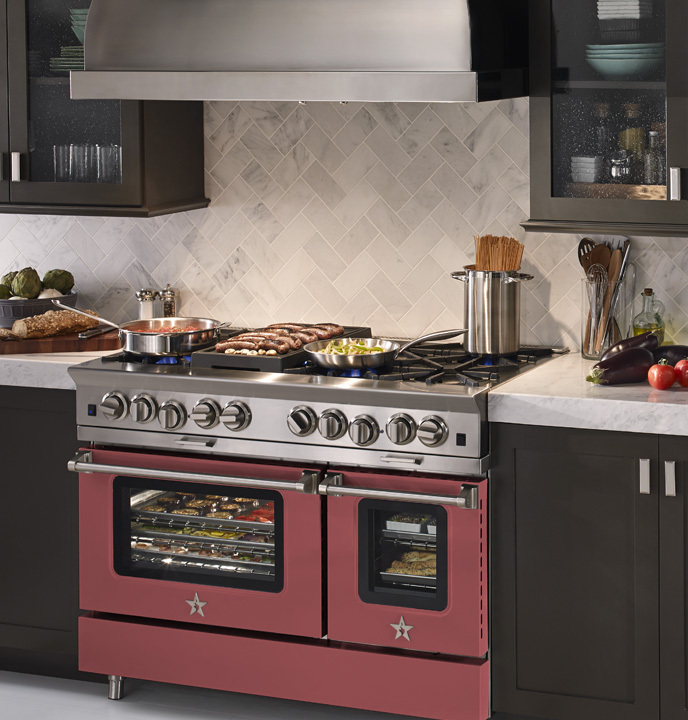 The BlueStar product line features multiple gas range lines; a new high-performance electric wall oven; gas rangetops and cooktops; gas wall ovens; professional-style kitchen hoods; and salamander grills. For more information, please visit http://www.bluestarcooking.com.